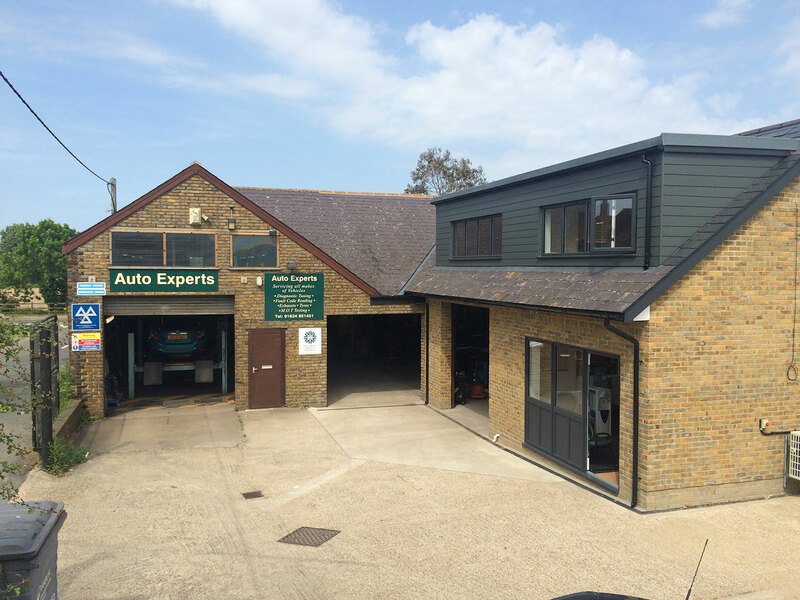 The building of the Workshop Extension Auto Experts Medway began at the beginning of November 2017 and was finally completed just before the Easter weekend in April 2018. The latest addition to our garage with regards expansion of Auto Experts is the recently completed extension. The extra workshop space gives a total capacity of 5 repair ramps plus the MOT testing bay. The extension also houses the new reception and has the added benefit of a private upstairs office. I am very pleased with the quality of the workmanship from local builder Nigel Harris. I would recommend Nigel to anyone wanting an extension done. The actual design and build has been very sympathetic with regards the existing character of the original building. I added a waste storage shed at the rear of the building towards the end of last year which has opened space within the workshop. Since taking over the garage in August 2016 I have managed to improve upon what was already a very good and well-run workshop. We are now fully computerised, and I have put systems in place that have brought it fully into the 21st century. New equipment has been added as necessary and the amalgamation of staff from my previous garage in Chatham with the inherited staff from the original Auto Experts has also been a success. We have also added a further Technician and I feel that all our staff are working as a team. Our latest addition with regards equipment is Air Conditioning. We can now carry out Air Conditioning leak checks and recharging. We are also about to upgrade one of our ‘Snap On’ diagnostic machines to a newer faster version. There are still improvements to be made in all areas. My next project is the construction of an upstairs storage area, where parts and consumables can be stored. After that, the original workshop lighting needs a thorough review. Lights and switches need centralising and ideally all the lighting could do with an upgrade. I am looking forward to the next 20 years trading.